Once Unwelcome News, Her Daughter's Outing Opened Door For A New Love When Leslye Huff first told Mary Ostendorf's mother about their relationship, she took it badly. But things didn't end there. Over a decade, friendship — and even love — bloomed between the three. Leslye Huff, 66, and Mary Ostendorf, 79, in Cleveland, where they recorded their StoryCorps interview. 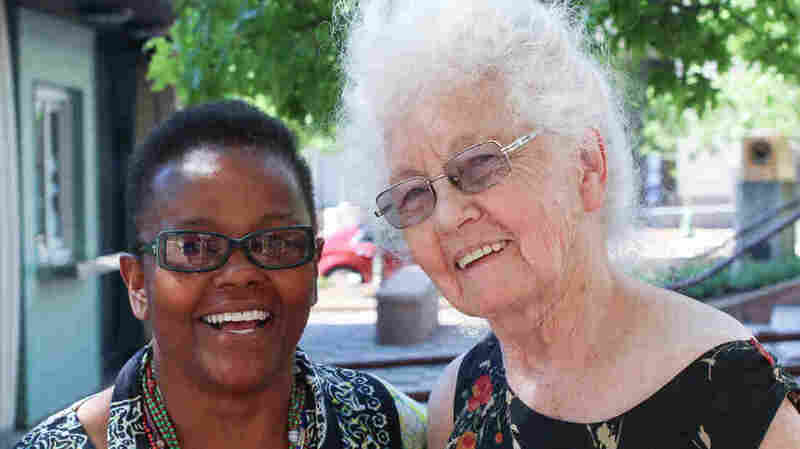 Mary Ostendorf met her partner, Leslye Huff, in 1983. At that time, like so many LGBTQ people then, Mary didn't tell her family. And Huff went along with it. 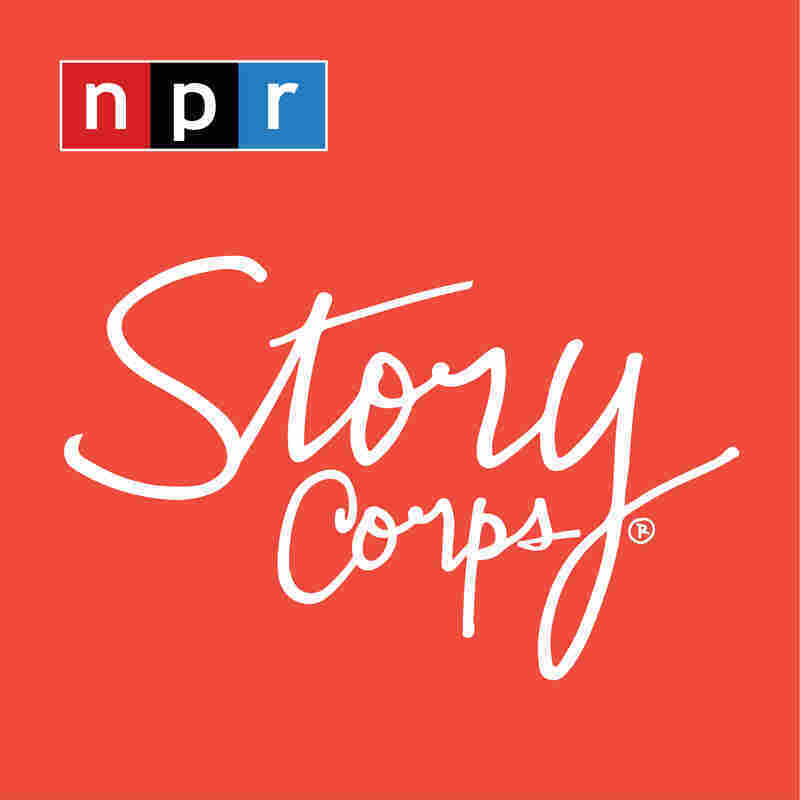 "You took me to meet your mom," Huff tells Ostendorf, recalling their relationship's beginnings in a conversation with StoryCorps. "She was short like me, and pretty vivacious. She and I sat and talked and I thought the makings of a pretty good friendship was beginning." Still, the couple kept their secret until Thanksgiving that year, when they decided it was finally time to come out to Ostendorf's mother. During the run-up to the big dinner, Ostendorf says she was debating with herself how to handle the conversation, scared that it would go badly. Meanwhile, Huff had other plans. "The closer it got to Thanksgiving, the more I thought I can't let her come here under those pretenses," Huff tells Ostendorf, recalling the moment in a conversation with StoryCorps. So, she called Ostendorf's mother herself and explained over the telephone the nature of her relationship with her daughter. "It was clear that it was not information that she welcomed. And as it turned out, she didn't come to Thanksgiving dinner." Being outed to her mother felt like walking on hot coals, Ostendorf says. But she was committed to Huff. She loved her, and she was sticking with her. And over the next decade, as they grew to know each other better, Huff's friendship with Ostendorf's mother blossomed. Despite the initial reaction, the two of them had so much in common, they grew closer with time. "Then she got sick," Huff says. She and Ostendorf's mother were together again, waiting for Ostendorf to return from work, when Huff asked her if she would like to live with them. "And the smile on her face was just, you know, it was beautiful to see," Huff says. "I knew that she wanted to make sure that she was with her daughter. But she wasn't sure we would have her." But they made it work. And in time, they drew even closer. "I treated your mom like the sassy woman she was. We even danced together. I'd put on music and she'd get up and dance. I'm holding her because she couldn't balance well. That was how the joy increased." In the end, though, the illness took its toll. Before she died in 1993, the health of Ostendorf's mother deteriorated until she was "almost comatose," Huff says. "The priest came, and he did the last rites," Ostendorf remembers. "He asked me who that woman is. I said, 'Oh, you mean Leslye, my partner.' "
When her mother heard Huff's name, Ostendorf says she "perked up." And when the priest remarked that she must really like Leslye Huff, she told him, "I love Leslye." "I loved her, too," Huff says. "We said that loves heals the past, the present and the future. We're proving it every day." Audio produced for Weekend Edition by Liyna Anwar with John White.